This page showcases recent research from individual members of the Centre, or larger collaborative research projects that are representative of the aims and interests of the CMT. See also our our ‘Gallery’ pages, and our page on the CMT’s current research themes. Between 1512 and his death in 1539, Hernando Colón (1488-1539, natural son of Columbus) set about collecting one of the great libraries of the early modern age. ‘Without being a man of great estate’, one of his contemporaries recorded, ‘he travelled throughout Christendom searching out and bringing together books on all subjects’. At the time of his death the collection boasted around 15000 volumes. His bibliomania took him across Europe — on a single trip in 1530-1 stopping in (inter alia) Rome, Bologna, Modena, Parma, Turin, Milan, Venice, Padua, Innsbruck, Augsburg, Constance, Basle, Fribourg, Cologne, Maastrich, Antwerp, Paris, Poitiers and Burgos — and his meticulous records of his purchases allow us to trace his spending spree in great detail. Besides his own travels, his collection grew through the volumes sent via an extensive network of factors and correspondents in other Spanish and European cities. Unusually for its time, his library sought to collect printed books — considered by many libraries to be mere novelties — as well as precious manuscripts, expensive folios, and also leaflets of no more than ten pages. He also devised detailed and systematic methods for the classification of his volumes, making him one of the founders of modern bibliography. Colón acquired such expertise in book-purchasing that in his will he recommended the sort of itinerary that a good collector should follow in his endeavours to gather books. In line with the imperial ambitions of Charles V, Hernando Colón declared that his intention was to put together a universal library that would gather not just all the published material in Christianity, but also whatever was available beyond its frontiers. 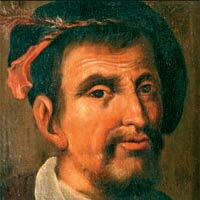 Colón also played a part in many of the central intellectual currents of the day: educated at the Castilian court by the Italian Humanist Peter Martyr, he also travelled with his father to the New World (1502-1504) where he began a lifelong passion for cartography and for anthropological information—which he promulgated in a biography of his father, the Historia del Almirante. Under the sponsorship of the Spanish monarchy he led a team of experts that compiled the first modern topographical description of the country, the so-called Descripción y cosmografia de España, with its companion Vocabulario topográfico. His cosmographical expertise also made him a valued diplomat, and he served in delegations to Italy and elsewhere to defend Spain’s right to its New World possessions and to assert further possessions to the east, in Persia and Arabia. T he core of his collection survives today, as the Biblioteca Colombina within Seville cathedral, and features a world-class collection of incunabula and manuscripts from the age of discovery and Humanism. For all its bibliographical and historical riches, this collection is scarcely known outside Spain as a resource for studying the material and intellectual culture of a key period in European history. The fact that the collection was built after Columbus’s success in expanding the scope of the material, religious and economic ambitions of the West, also turns his son’s collection into an excellent case study for the intersection between the processes of colonial expansion and the transformations that the cartography of knowledge was undergoing in the early modern world. In bringing to fruition the transatlantic encounter between the wisdom received from Classical Antiquity, contemporary Western intellectual production and the novelties that kept coming from across the ocean, the whole collection pre-empts Francis Bacon’s call for an expansion of the frontiers of the intellect in his Instauratio Magna a century later: ‘Surely, it would be disgraceful if, while the regions of the material globe—that is, of the earth, of the sea, and of the stars—have been in our times laid widely open and revealed, the intellectual globe should remain shut up within the narrow limit of old discoveries’. The project, led by Jose Maria Perez Fernandez (Universidad de Granada) and Edward Wilson-Lee (Cambridge), has recently won funding from the Cambridge Humanities Research Grants Scheme to hold workshops in Seville and Cambridge. These workshops will disseminate existing knowledge about the library and its founder, and explore the potential of the collection for answering research questions in areas including book history, travel, knowledge organization, and intellectual networks. Details of these workshops will be posted here shortly. For a report on the December 2013 workshop on Colón’s library, click here. The National Trust owns and manages over 150 properties in the UK that contain collections of books, the majority still housed in the buildings where they were assembled and read by their original owners. Between forty and fifty of the libraries in National Trust properties have been described as being of ‘major national significance’ (Purcell and Shenton, 2005), constituting an unparalleled resource for the study of the history of private book ownership in the United Kingdom. The process of cataloguing the major libraries is ongoing, and the results are being made available to researchers on the COPAC Catalogue as they become available. This pilot study showcases the research potential of these exciting collections, which form an important part of our national cultural heritage. The study investigates the place of Italian books in an English great house, Belton House in Lincolnshire. Belton houses the Trust’s second largest library (over 11,000 titles), assembled by successive generations of the Brownlow family, and the collection has now been fully catalogued. 229 works are in Italian, published between 1500 and 1800, across a variety of genres and subjects. Analysis of the Italian holdings will form the basis for two themed workshops. The first, to be hosted by the CMT in Cambridge in the summer of 2012, will explore the curatorship of great house libraries, in discussion with the curators themselves. 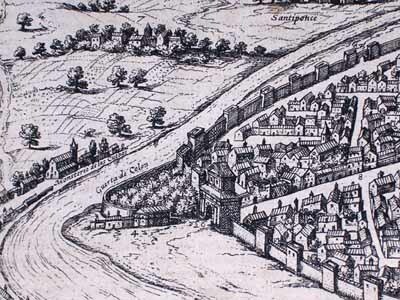 The second, to be held at Belton early in 2013, will explore the theme of cultural mobility in the early modern library, considering the social, cultural and intellectual histories of continental books in English collections. An exhibition of Italian books will be held at Belton, displaying the connections between book and place for a general audience. The PI for this project is Abigail Brundin (Department of Italian). The RA is Dunstan Roberts. For a report on the conference associated with this AHRC-funded pilot project, click here. & see also the new post on the University’s research pages here. MINIARE is a new project focusing on the pigment analysis and broad contextual interpretation of illuminated manuscripts. It is a collaboration between the Fitzwilliam Museum, the Hamilton Kerr Institute, and the Departments of Chemistry, History of Art and History and Philosophy of Science. Discussions with other departments across the university’s six schools are under way. The ultimate goal is to create a Cambridge Centre for the comprehensive scientific, artistic and historical analyses of works of art, extending services and advice to educational and art institutions in Cambridge and beyond. To visit the MINIARE website, click here. In a world that seems increasingly small, every artefact documenting the history of ancient civilisations has become part of a global heritage that needs to be carefully preserved and studied. Among such artefacts, manuscripts occupy a distinctive place in as much as they speak to us with the actual words of long-gone men and women, bringing back their beliefs, ideas and sensibilities to immediate life. In this respect, the collections of South Asian manuscripts in the Cambridge University Library are a precious resource, so far little known even to specialists. 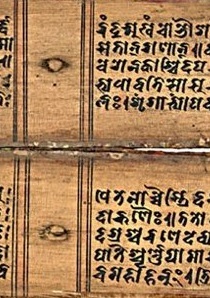 They comprise more than one thousand documents in Sanskrit and other South Asian languages, written in various scripts and on different supports, such as birch-bark, palm-leaf and paper. A small portion of them were catalogued by Cecil Bendall in the late 19th century, but the collections were enriched by new acquisitions until the 1990s. The collections include works of great rarity in different genres and on a host of subjects, from religion and philosophy to astronomy, grammar, law and poetry. Among its treasures are some of the oldest extant manuscripts from South Asia, dating from the last centuries of the first millennium C.E., which were collected in Nepal, virtually the only region of the Indian subcontinent where the climate allows their survival for more than a few centuries. The project, funded by an Arts and Humanities Research Council grant, will carry out an exhaustive survey of the library holdings, gathering all the basic information for each item in keeping with the current international standards for the cataloguing of ancient and medieval manuscript sources. It will collect data on the physical characteristics of the manuscripts, identify untitled works and attempt to date them on the basis of palaeographic and material features, situating them in their broader historical context. By combining traditional philological methods with advanced information technology, it will make these extraordinary documents available in various formats to the scholarly community of Sanskritists and other specialists of South-Asia as well as to the general public. All the findings obtained from the survey of the manuscripts will be collected in an extensive multimedia archive that will be searchable online through the Library’s new online digital library (http://cudl.lib.cam.ac.uk/). A significant portion of the holdings will be digitized, and the images will be linked to the archive records. In parallel to the survey and cataloguing, we will investigate this wealth of material through a collaborative effort with fellow Sanskritists in the U.K. and abroad, demonstrating the importance of these primary manuscript sources for the history of pre-colonial South Asia. The research findings will be presented through academic journals and other publications, as well as in two international workshops to be organised in the second and third year of the project, focusing on some of the religious and intellectual traditions that have played a key role in the Indian civilisation. To learn more about the Sanskrit Manuscripts Project, click here. For a report on the recent two-day workshop on Buddhist manuscript culture, click here. “‘Will not these days be by thy poets sung’: Poems of the Anglo-African and National Anti-Slavery Standard, 1863-1864″ is a path-breaking digital edition of 138 poems that appeared in two New York-based weekly newspapers during a single year of the American Civil War. Co-edited by Dr Rebecca Weir (University of Cambridge) and Dr Elizabeth Lorang (University of Nebraska-Lincoln), the edition is part of the 2013 issue of Scholarly Editing, the open-access journal of the Association for Documentary Editing. It is available at scholarlyediting.org. ‘“Will not these days…”’ emerged out of the recognition of several needs. First, the need to expand our analyses of nineteenth-century American literature and literary culture to include a much broader range of poems, authors, and media. This need extends to including more work by African American writers and women writers, as well as acknowledging the tremendous body of anonymous work which decentralizes the author. Second, the need to recover a more complex poetic record of the Civil War, one which recognizes poetry’s vital role in shaping how Americans experienced the war. Third, the need to situate this poetry in its textual and social environments, so as to enable more fruitful reading and examination of the works. A host of scholars have articulated these needs, and many have made interventions to begin to meet them. Yet the specific textual environments of poems, the multiple identities of poem-texts, and critical readings that combine analysis of both textual and social environments remain woefully underrepresented. Even collections, essays, and monographs that foreground newspapers and magazines as significant publication environments do little more than offer a description of such periodical contexts. That is, in practice, if not in theory, valuable collections like the print anthology “Words for the Hour” (2005) take too much for granted. What comprises a poem in a newspaper? Are two instances of a poem that share the same words, grammar, and syntax printed in two different newspapers the same text? What role do markers such as “original,” “selected,” “written for the” have for the poem-text? How is a poem defined by its relation with other genres within a newspaper? The editors approached these questions from different angles in individual research projects leading up to the edition. 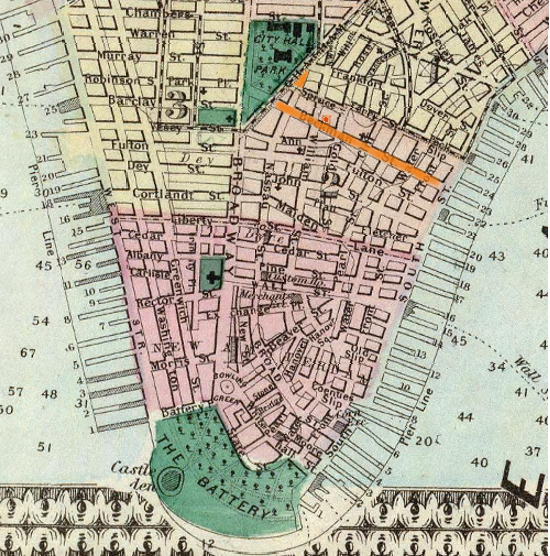 Dr Weir was uncovering a web of Civil War–era alliances and affiliations between publishers and editors, abolitionist and otherwise, which centred on New York City’s Beekman Street, as part of her research for a book on wartime poetry, reprint pathways, and editorial practice in the Anglo-African, the National Anti-Slavery Standard, and the Christian Recorder. Dr Lorang was developing a data model and database for identifying and representing information about newspaper poems, writing about Civil War poems published in various newspapers, and working on editorial projects for the Walt Whitman Archive (whitmanarchive.org) and Civil War Washington (civilwardc.org). The edition therefore draws on individual strengths and areas of intersection. The project is part of an ongoing collaboration, the next phase of which will concentrate on the African Methodist Episcopal Church’s weekly Christian Recorder. A resource by Paul Russell, Sharon Arbuthnot, Pádraic Moran, funded by the Arts and Humanities Research Council. 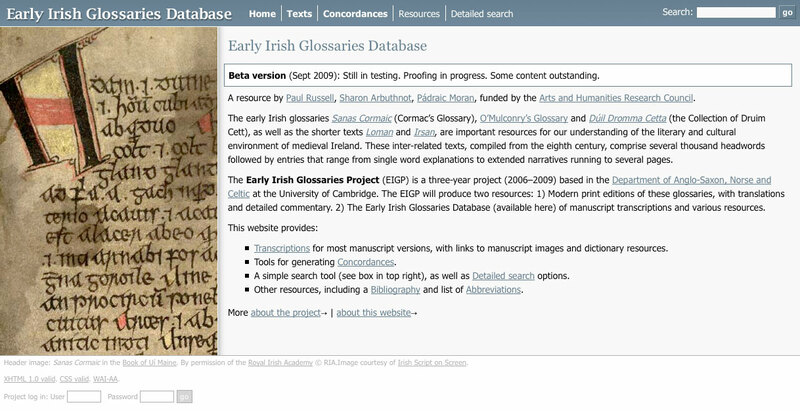 The early Irish glossaries Sanas Cormaic (Cormac’s Glossary), O’Mulconry’s Glossary and Dúil Dromma Cetta (the Collection of Druim Cett), as well as the shorter texts Loman and Irsan, are important resources for our understanding of the literary and cultural environment of medieval Ireland. These inter-related texts, compiled from the eighth century, comprise several thousand headwords followed by entries that range from single word explanations to extended narratives running to several pages. 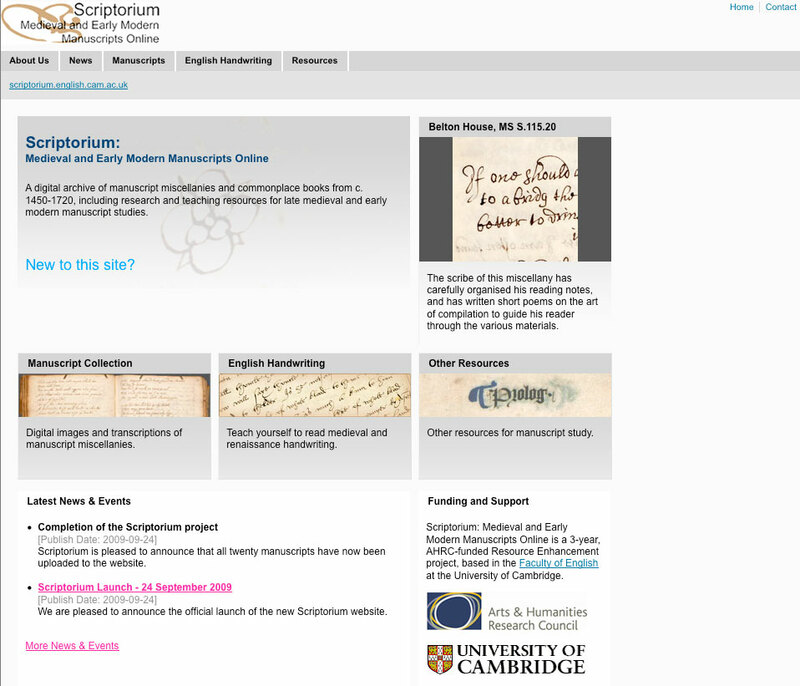 Scriptorium is a three-year (2006-2009) AHRC-funded Resource Enhancement Project, based in the Faculty of English at the University of Cambridge, and has recently been completed. We constructed a digital archive of manuscript miscellanies and commonplace books from the period c. 1450-1720 and our website provides unrestricted public access to these images. We have also developed and published a set of online pedagogical and research resources supporting late medieval and early modern manuscript studies. 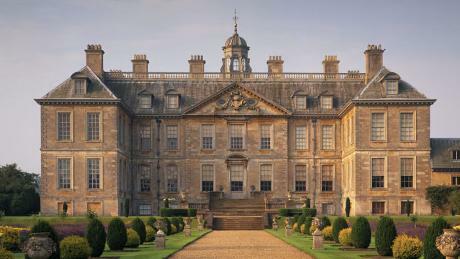 The collection features manuscripts from a number of college libraries in Cambridge, as well as the Cambridge University Library, the Brotherton Library in Leeds, and other archives, such as that of Holkham Hall in Norfolk. We have also hosted three conferences: one-day workshops in online manuscript research in July 2007 and 2009, and a larger, two-day conference in manuscript studies in 2008. Proceedings from this conference were published in English Manuscript Studies 16 (2011): click here for more details.